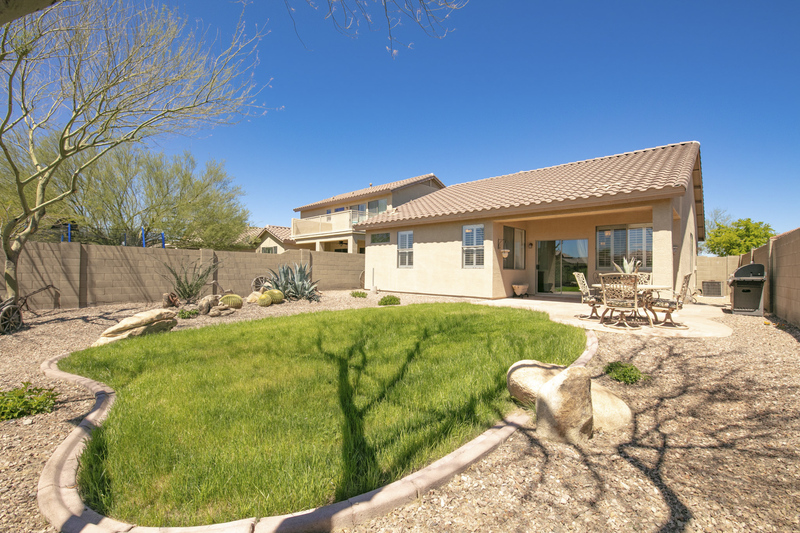 Sit back, relax and travel through this beautiful single level home on a premium desert wash facing lot with 3 bedrooms, 2 bathrooms and a two car garage in the amenity packed community of Anthem by Del Webb. 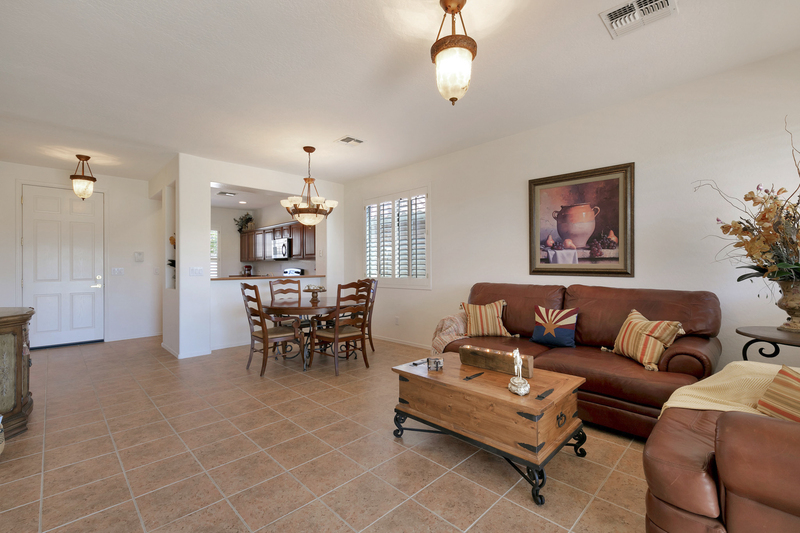 See why Buzzing By on Bisbee Way will make you want to stay awhile. 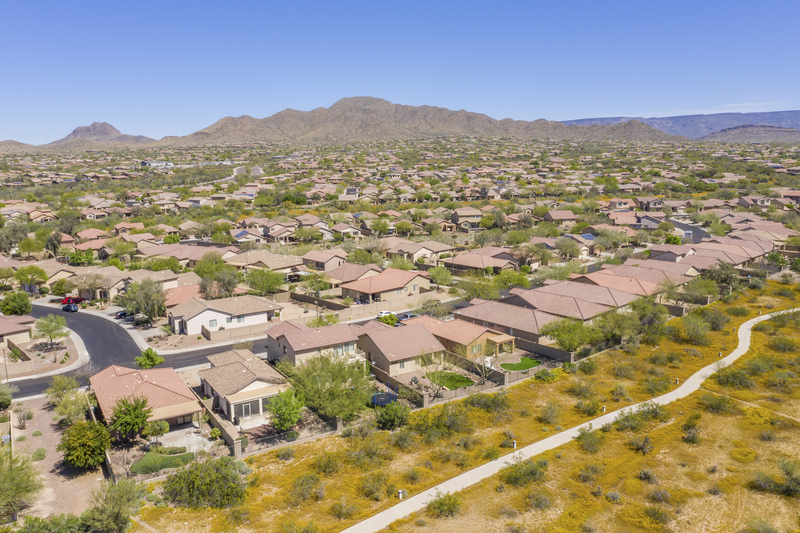 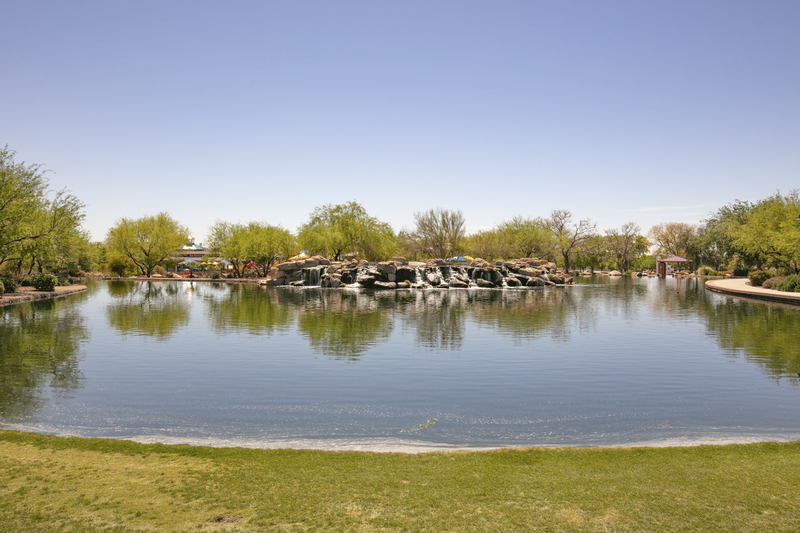 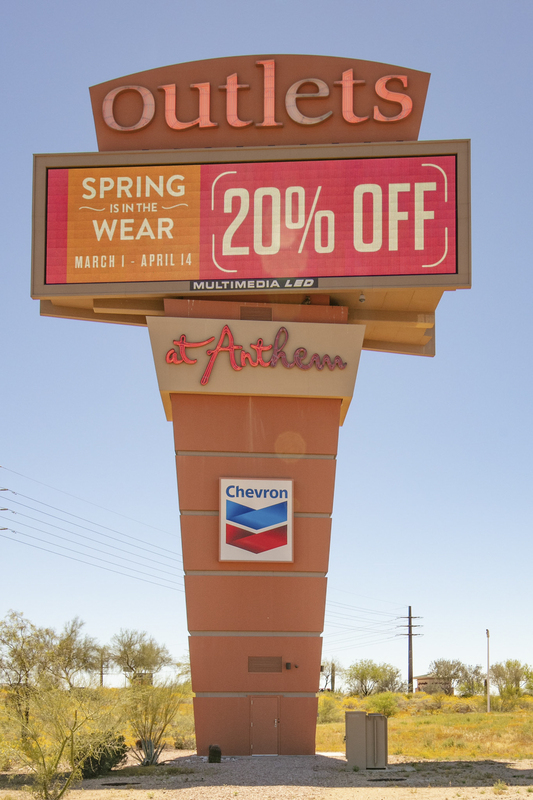 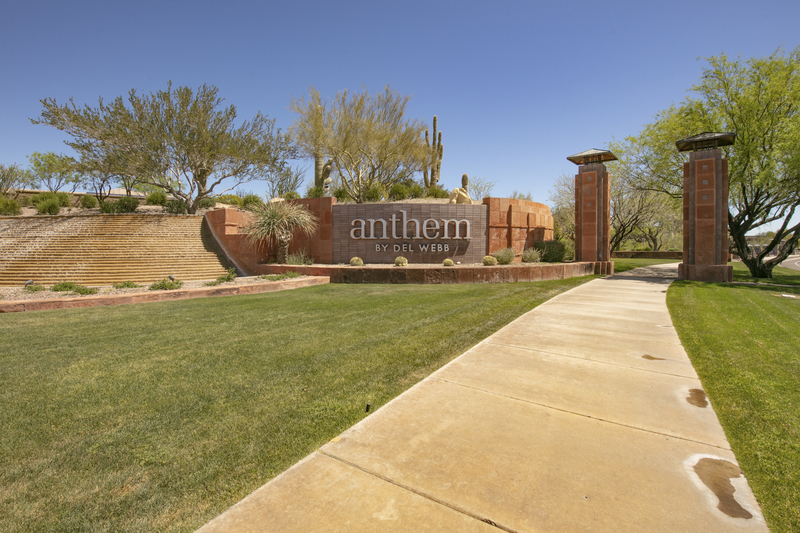 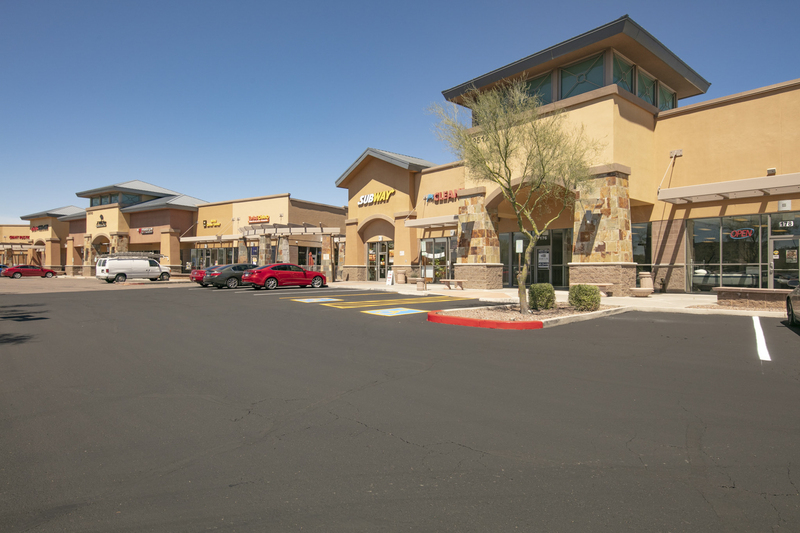 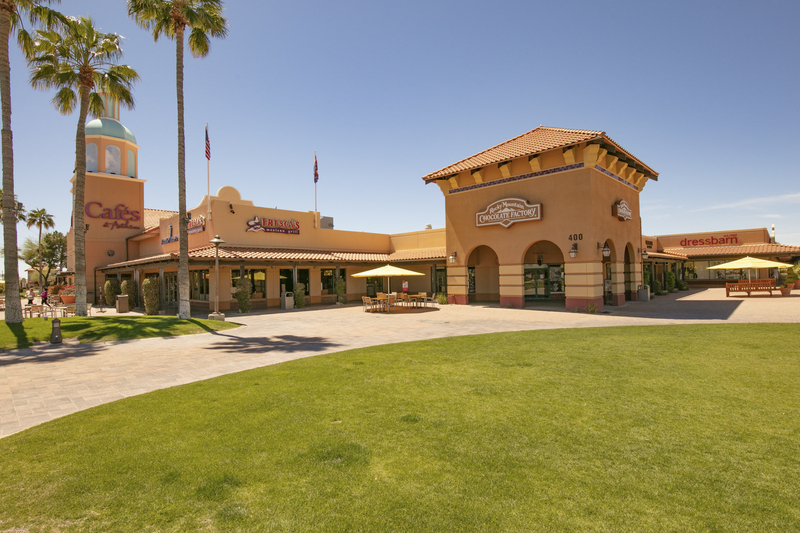 Surrounded by stunning mountain views and filled with amenities for all ages, the master planned community of Anthem by Del Webb stands out as a premier destination spot for shoppers, diners, hikers, bikers, and golfers in the Northwest Valley. 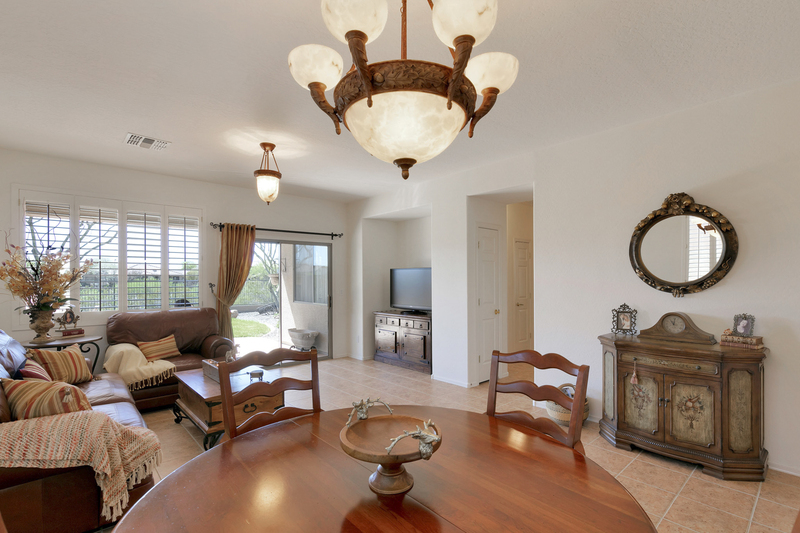 Situated on a premium lot with view fencing overlooking natural vegetation and a lighted walking path, this single level 3 bedroom, 2 bathroom home has been exceptionally well cared for impeccably maintained. 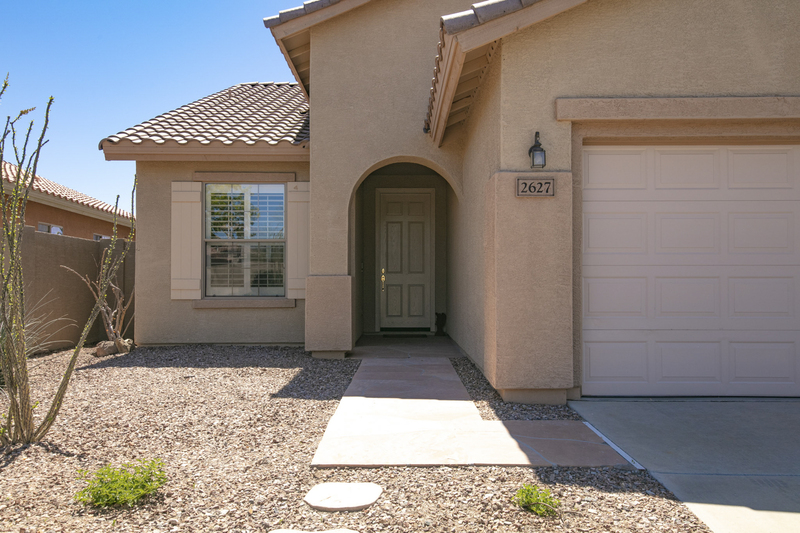 With desert front yard landscaping leading you into the private entry way, you'll find a spacious greatroom floorplan with views of the desert sky from front to back. 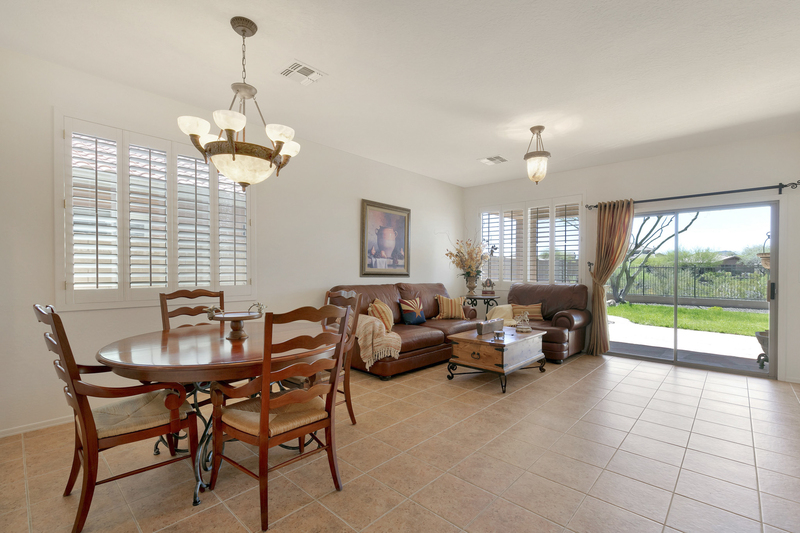 With hard surface flooring throughout the main living areas and room for a full size dining table adjacent to the living room, this home is warm and inviting throughout. 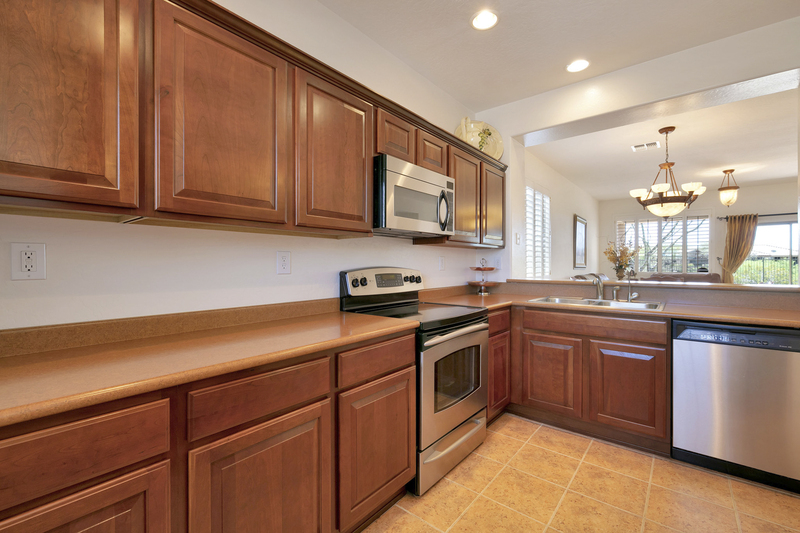 The well designed kitchen space features rich cherry cabinetry and built-in stainless steel appliances perfect for creating a home cooked meal or whipping up a plate to take outside for dining on the patio. 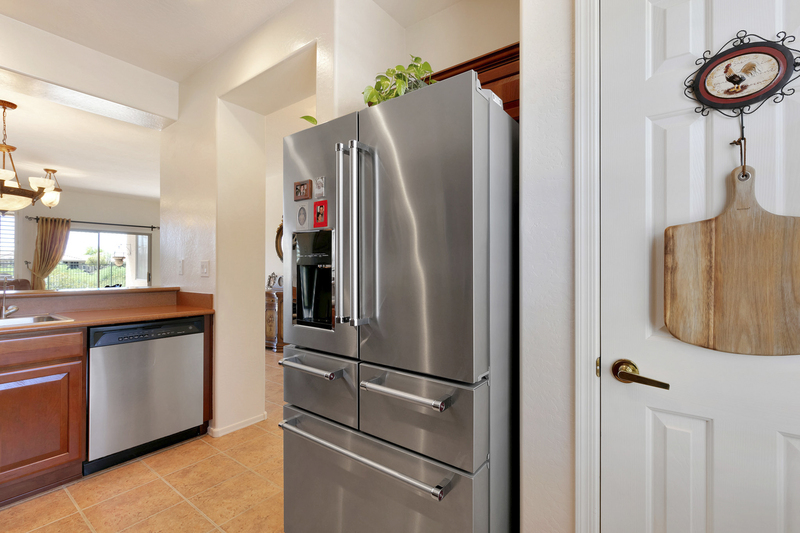 With extra long counters and full length uppers, the generous counter top space and cabinet space mean plenty of room for meal prep and kitchen utensils. 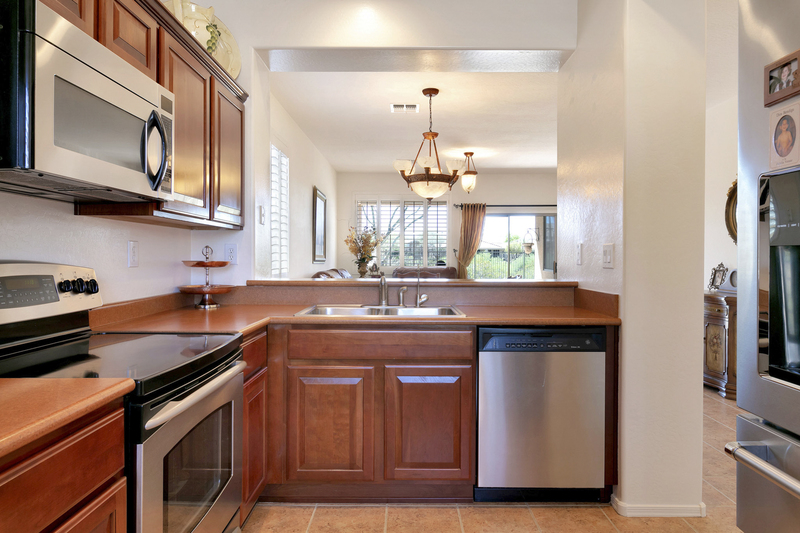 The warm tones of the kitchen and the view to the outside through the pass through counter will soon make this one of your favorite spots in the home. 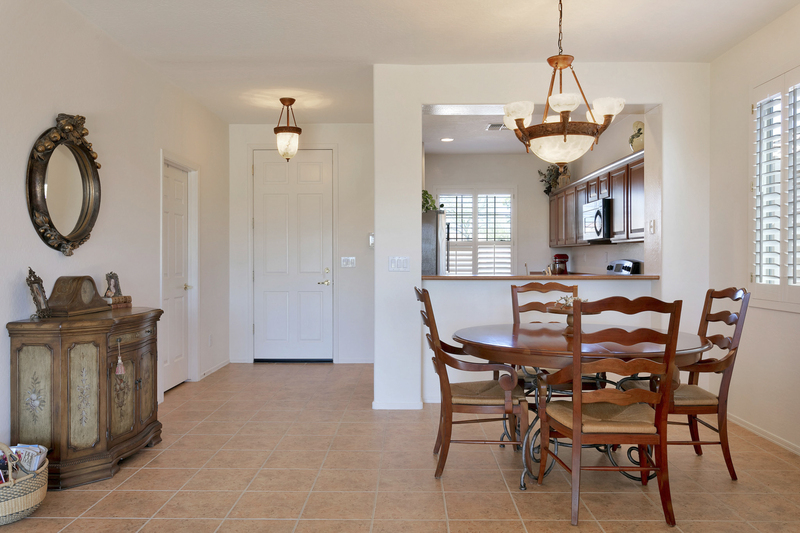 What's on your menu for tonight? 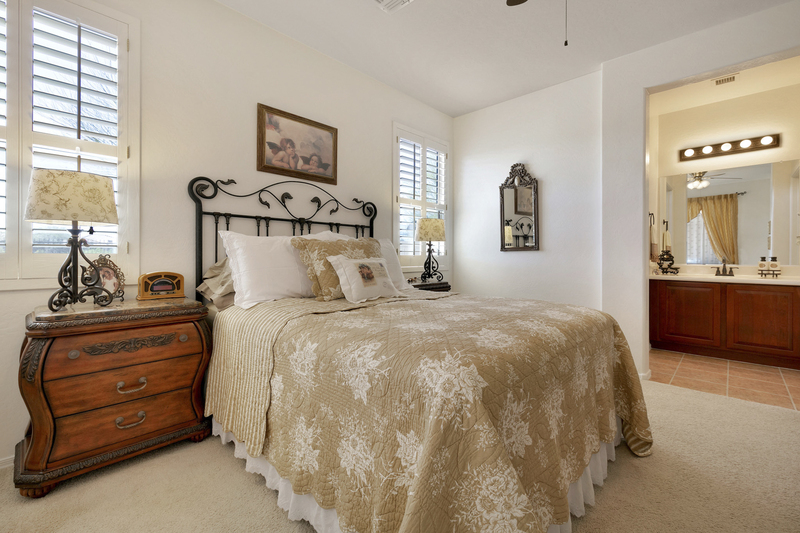 Framing the view of the wash with plantation shutters, this master bedroom is tucked away and features a private ensuite with upgraded fixtures a bathtub shower combo and a large walk-in closet with room for clothing, shoes and storage. 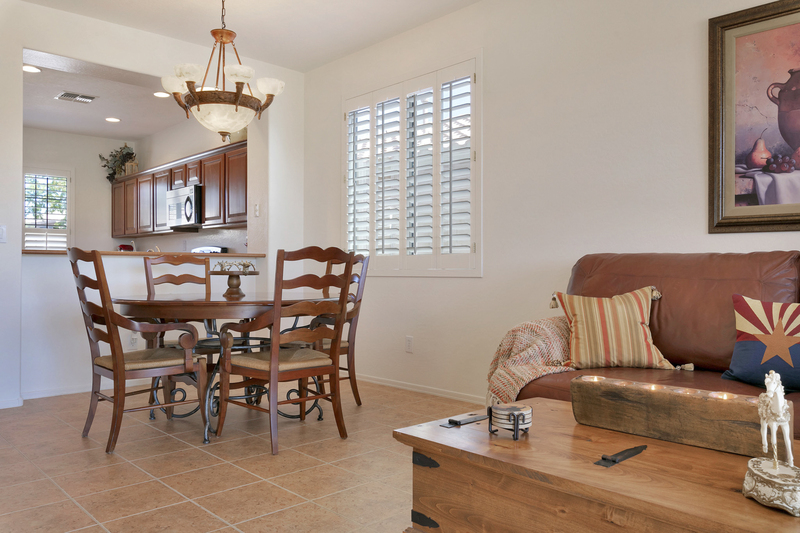 Rest and relax amongst the neutral coloring of the walls and floors or make it your own with some bright decor. 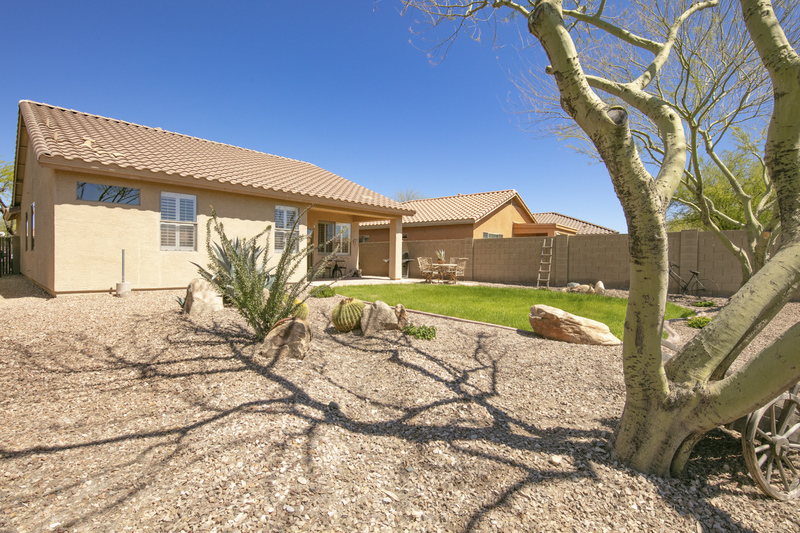 Close to the outdoor patio and nearly south facing, this cool retreat will be a welcome resting place at the end of the day. 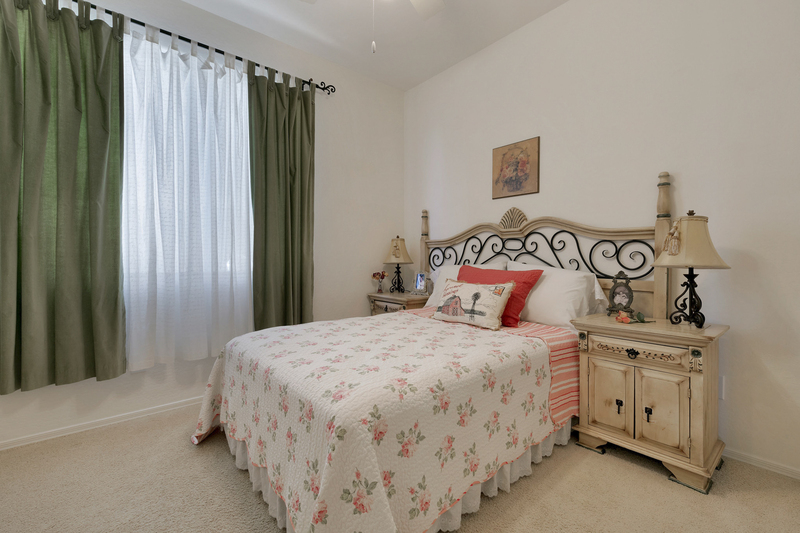 Two additional guest bedrooms including one double door entry den with built-in niche for a custom closet or wardrobe and second guest bedroom with ample closet space sit just down the hall from the master. 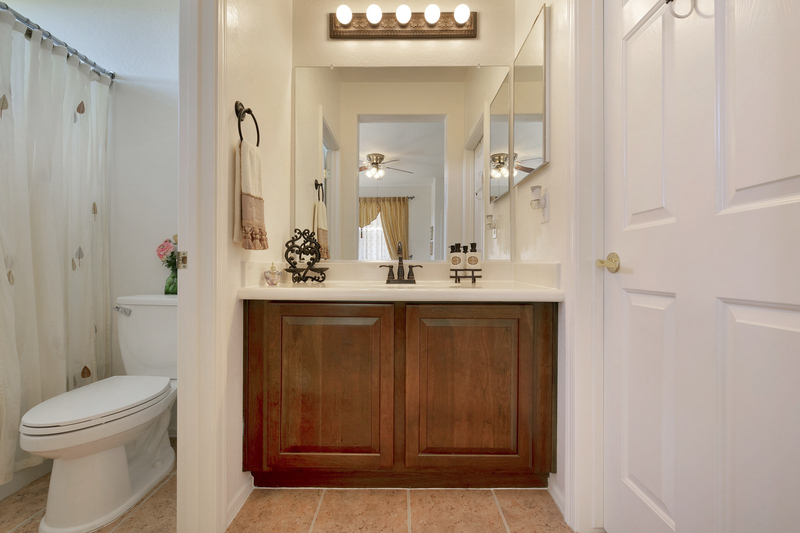 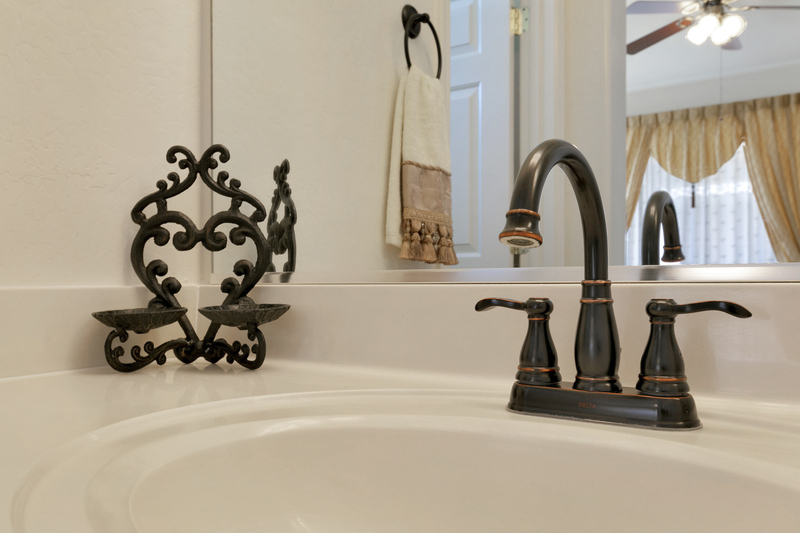 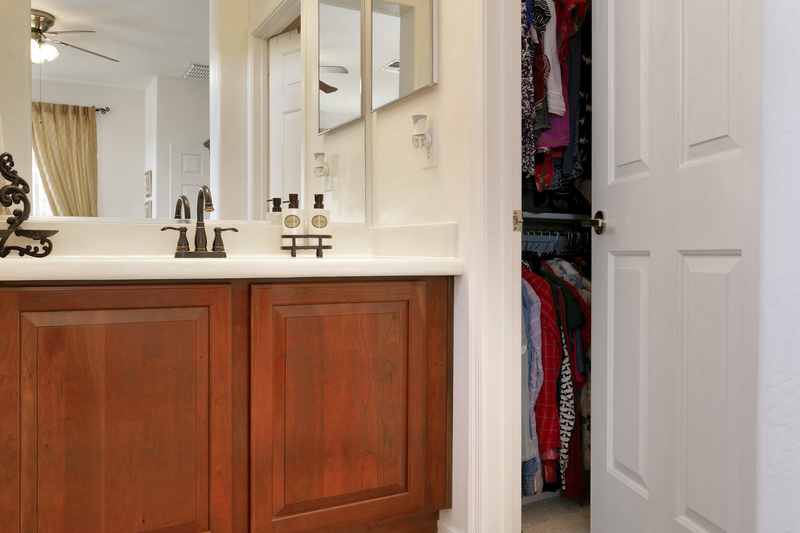 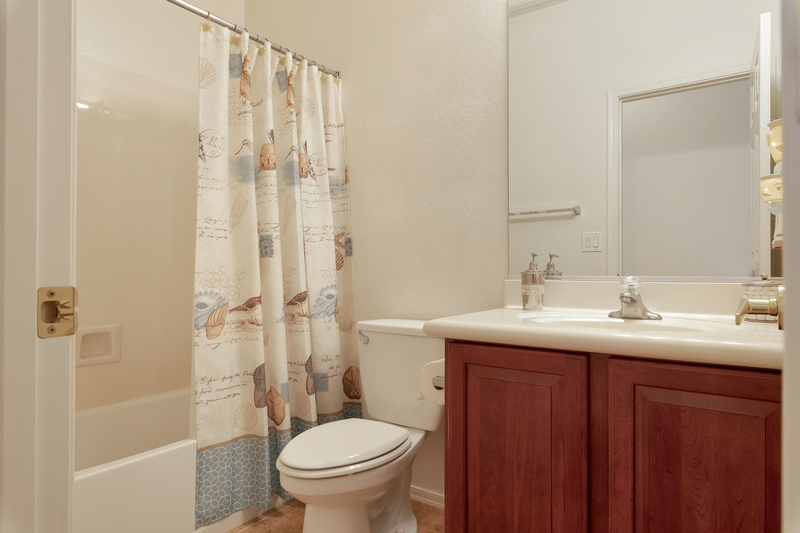 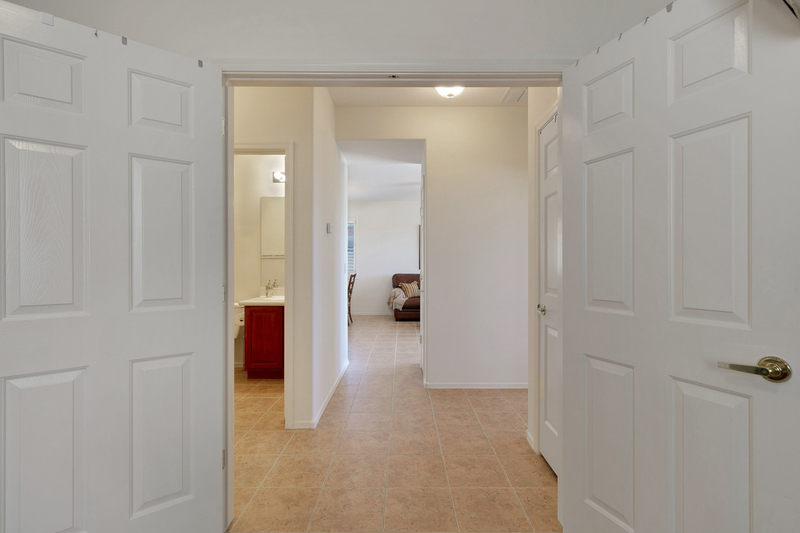 Across from both spaces is the full guest bath with rich bottom cabinetry and bathtub shower for adults and kids alike. 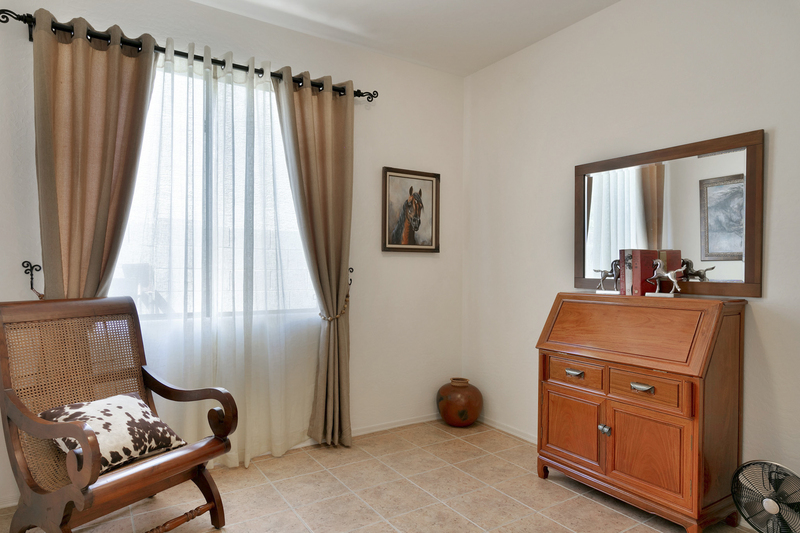 Tile in the den makes it perfect for a rolling office chair, any wheelchair accessible needs or the ideal landing space for an area rug while guests or kids in the second bedroom will enjoy the plush carpeting under their feet in the morning. 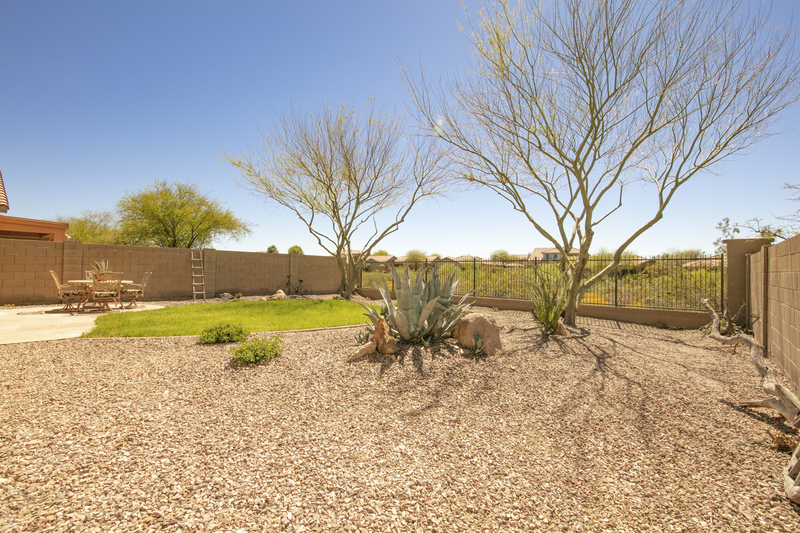 Desert landscaping fills the backyard making this home easy to maintain and enjoyable year round. 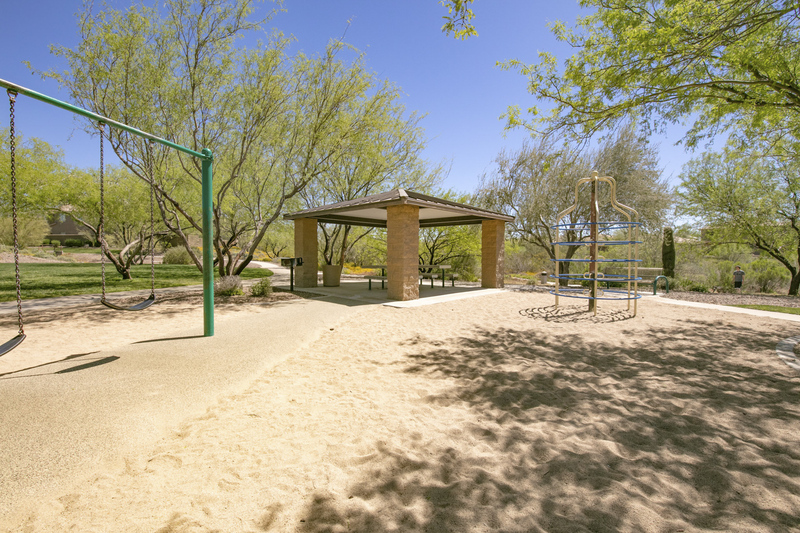 The center patch of grass is perfect for kids or dogs and is a nice complement to the desert wash view. 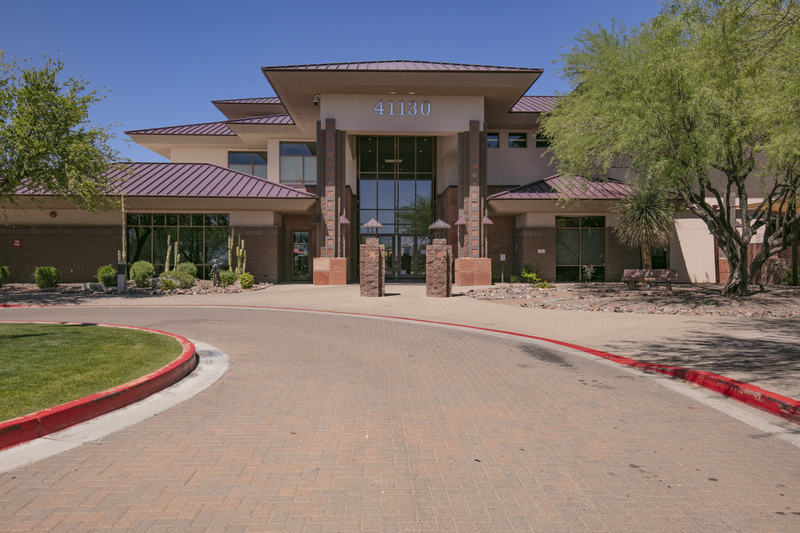 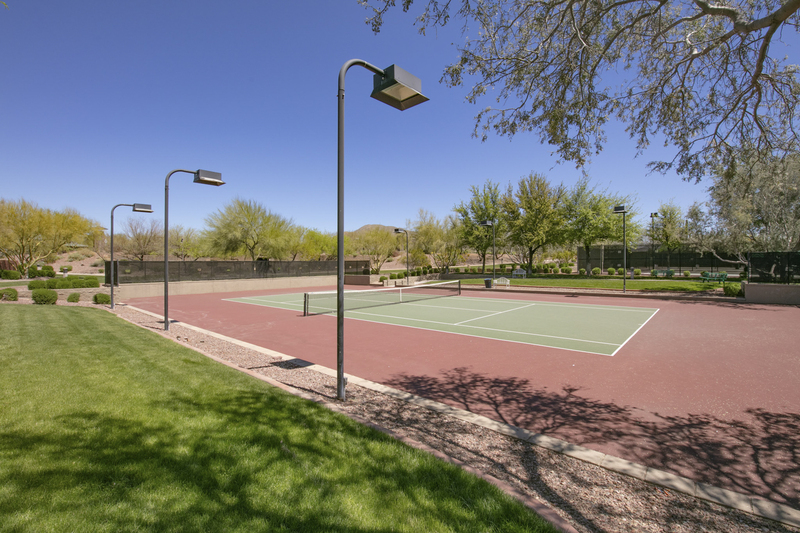 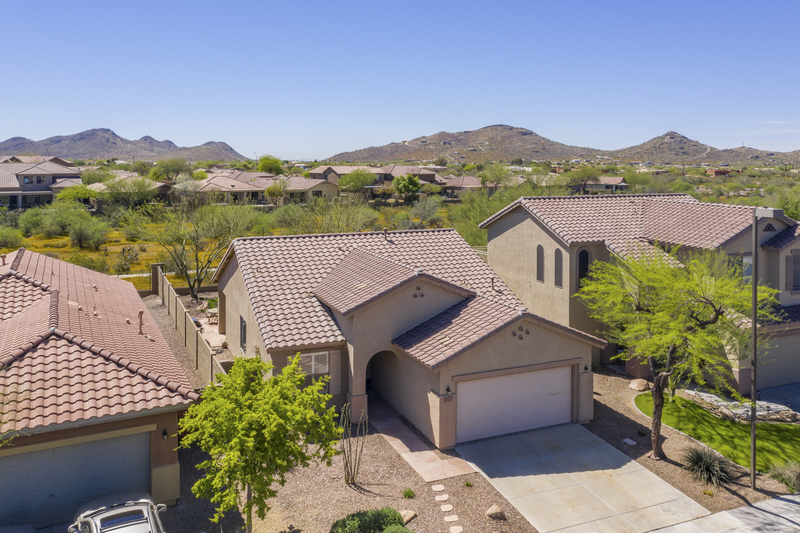 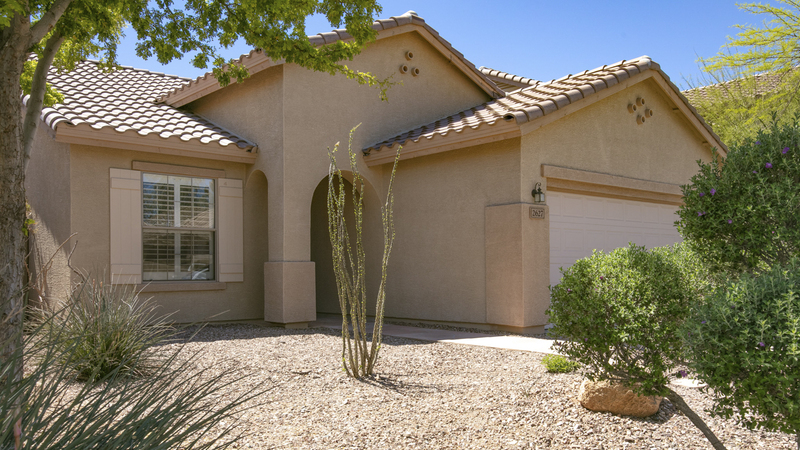 Palo Verde trees and desert plants frame the view fencing and the walking path behind where you'll surely spend time taking long walks enjoying the cool Arizona evenings or snapping a leash on Fido and taking him for a run. 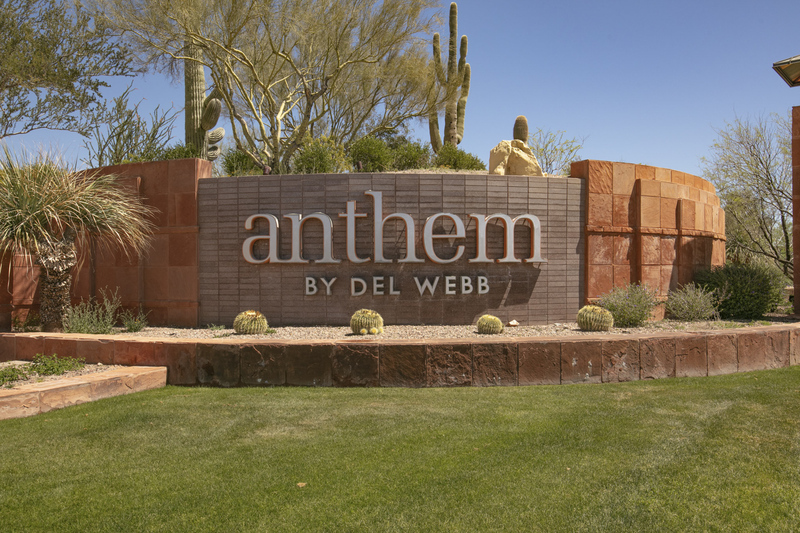 The highly desirable community of Anthem by Del Webb is known for its hiking, biking, and walking trails, access to shopping and dining, and amenities galore for families including a community center, civic building, and three major community parks filled with playgrounds, splash pads, skate parks, ramadas, sports courts, an amphitheater, and more! 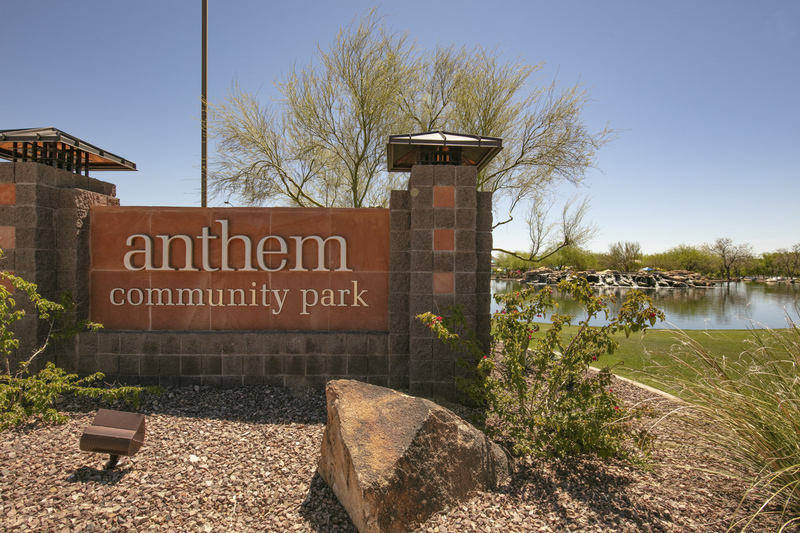 Whether you are looking for a desert retreat away from the hustle and bustle of busy life, a place to raise your family that is near recreation and activities for the weekends, or vacation landing pad as a second home - Anthem truly has something for everyone.